Welcome to Vernal ChiroCenter Spine + Disc! 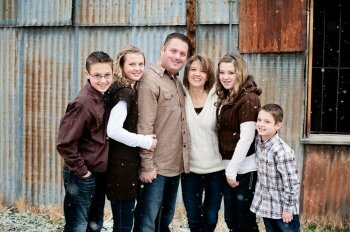 Vernal, Utah physician Dr. Travis R. Allan, DC at Vernal ChiroCenter Spine and Disc is one of the best chiropractic physicians in the Uintah Basin area specializing in chiropractic care and whole body wellness. 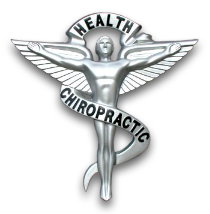 Dr. Allan is a chiropractor committed to providing pain relief for many symptoms and conditions so that you can have a higher quality of life. Don't just take our word for it; visit our testimonials page to Chiropractor in Vernalsee what our patients have to say. At our Vernal Spine and Disc Center you will receive the best care through the use of the most modern chiropractic techniques and state of the art technology. Dr. Allan and the staff at Vernal ChiroCenter Spine and Disc have a genuine concern for your well-being and health! Call us today and we can develop a healthcare plan specific for your needs. To receive free wellness and health articles subscribe to our bi-weekly newsletter. If you are already a newsletter subscriber, please explore the member wellness section of our website for animated exercise videos, wellness articles, chiropractic resources, and health facts specifically targeted to your wellness needs and interests by Dr. Travis Allan. Dr. Travis R. Allan, D.C.
"Since receiving all natural homeopathic injections from Dr. Allan, I have seen an increase in my mobility in my low back, hips and legs by at least 60%. Before receiving injections I struggled to even put my socks on. I enjoy golf, but before injections I couldn't golf more than 9 holes before having pain and decreased motion. After receiving injections I can golf a full 18 holes without pain and with much better mobility. I highly recommend homeopathic injections."